An HbA1c measuring device gauges average blood glucose over 3 months by detecting hemoglobin (HbA1c, or hemoglobin A1c) combined with glucose for an accurate measure of blood glucose level. 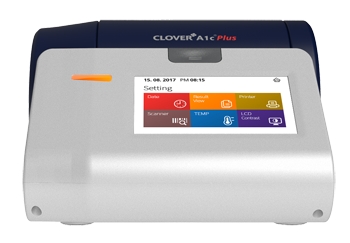 CloverA1c plus conveniently and accurately measures hemoglobin A1c (HbA1c) by using spectrophotometry. 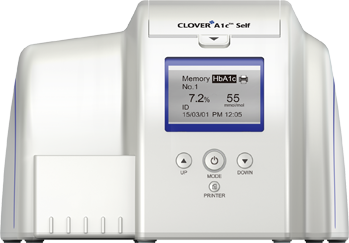 CloverA1c conveniently and accurately measures hemoglobin A1c (HbA1c) by using spectrophotometry.